14(f) Repeal’s Worst Victim? Mahbubnagar! In order to quell 1973’s violent Jai Andhra movement for a separate State, Prime Minister Indira Gandhi’s Congress Government reached an agreement with the leaders of Andhra Pradesh. That agreement is often called the Six-Point Formula. As part of that agreement, six new zones were defined. Each zone had a set of districts. Zone 1: Srikakulam, Vizianagaram, and Visakhapatnam, Zone 2: East Godavari, West Godavari, and Krishna, Zone 3: Guntur, Prakasham and Nellore, Zone 4: Chittoor, Cuddapah, Anantapur, and Kurnool, Zone 5: Adilabad, Karimnagar, Warangal, and Khammam, Zone 6: Ranga Reddy, Nizamabad, Mahbubnagar, Medak, and Nalgonda. Hyderabad district was categorized separately as it was the State capital. In the 6-point formula’s zonal agreement, 80% of Class-IV government jobs were reserved to those from their respective native districts. 70% of the non-gazetted posts were reserved for locals of each native zone, and similarly 60% of gazetted posts were reserved for locals of the native zone. 6-Point formula did not apply to certain government posts and these were detailed in Section 14 of the agreement. These included posts in the Secretariat, offices of the Heads of Department, and posts in other State level offices or institutions. Lastly, clause 14(f) excluded police officer posts, hired under the Hyderabad City Police Act, from the agreement. This 14(f) clause has become a bone of contention over the past several years. The arrangement to allow candidates from all districts of the State to apply for police jobs in the capital city is not unusual. For example, Delhi police recruits from all the states in the country. Its 2009 recruitment notice said: “Recruitment will be held at Delhi for which candidates from all parts of the country…can apply”. Separatist leaders claimed that opening up of Hyderabad posts to all districts in the State has resulted in jobs being looted by other regions of the State. They have instigated students against the government and people from other regions of the State. ‘14F’ became a rallying call for the students. So, let us see if the repeal of 14(f) actually benefits those hailing from Nizam districts. Andhra Pradesh police department, in 2005, compiled a list of police constables working in Hyderabad, but are not natives of the city. They’ve identified a total of 2869 candidates and here is their split by district- Srikakulam: 140, Vizianagaram: 23, Visakhapatnam: 23, East Godavari: 104, West Godavari: 97, Krishna: 113, Guntur: 247, Prakasam: 356, Nellore: 30, Chittoor: 53, Anantapur: 51, Kurnool: 128, Kadapa: 96, Mahabubnagar: 459, Nalgonda: 251, Ranga Reddy: 347, Medak: 125, Nizamabad: 37, Adilabad: 10, Karimnagar: 33, Warangal: 99, Khammam: 47. If you group these posts by regions- Kosta: 1133 (39%), Rayalaseema: 358 (12%), Nizam: 1408 (49% ). Now, let us see the percentage population of these regions excluding Hyderabad- Kosta: 44%, Rayalaseema: 19%, Nizam: 38%. What does this indicate? Nizam region (excluding Hyderabad), despite having 38% population availed 49% of the police constable jobs, whereas Kosta with 44% of the population availed 39% and Rayalaseema with 19% of the population availed 12% of the non-local police constable jobs. One may argue that with the repeal of 14(f), all the jobs will now go to Hyderabad citizens. However, Hyderabad today is a cosmopolitan city with residents from all regions of the State and all parts of the country living in it. So, jobs in Hyderabad will be availed by people of all regions living in the city and not necessarily from a particular region. Government of Andhra Pradesh recently issued a notification for the hiring of 2,643 police constables in the city. If past trends were to hold good in the current recruitment phase, who are the worst affected by the repeal of 14(f)? The rural unemployed youth of Mahbubnagar, followed by Prakasam, Ranga Reddy and Nalgonda! These are the four districts that sent highest number of non-locals to the Hyderabad Police Department. Interestingly, past efforts by the police department to recruit constables from Hyderabad were partially successful. Hyderabadi’s are not interested in taking up constable jobs, when there are less risky and more lucrative jobs available in the city. It is the rural unemployed that are keen on taking up these jobs. Our politicians in their infinite wisdom have fought hard to deny these employment benefits to our rural poor and underprivileged. With the repeal of 14(f), residents of areas such as Kukatpally, Dilshukhnagar, Uppal, and Narsingi, which are integral part of Hyderabad, are denied job opportunities. These areas come under Ranga Reddy district! Our politicians in their infinite wisdom have fought hard to deny these employment benefits to our rural poor and underprivileged. As long as our creator continues to shower our leaders with this kind of wisdom, we can be rest assured of our third world country status. Here are the clips from the TV9 program that was aired live during the US daytime hours on November 14th. Andhra Pradesh came into existence according to the deep desires of Telugu people to live together in one State. The movement for a Telugu State is as old as Indian National Congress’ independence movement. Telugu people have thousands of years of legacy living together under Satavahana, Kakatiya, Vijayanagara, Qutub Shahi and Nizam Shahi rules. With the advent of the British merchants, our unity fell apart. Our people and land have been traded off as commodities. As a result, Telugus acquired new regional identities called Circar, Ceded, and Nizam regions. In early 1900s there has been an awakening among Telugus. Telugus were scattered across today’s Tamilnadu, Orissa, Karnataka, and Maharashtra regions. They’ve realized that their history, culture, and language have been neglected for generations. After a movement that lasted for nearly fifty years our state came into existence. It required great many sacrifices by our leaders such as Potti Sriramulu, Konda Venktapayya, Burgula Ramakrishna Rao, Raavi Narayan Reddy and scores of other great men and women. 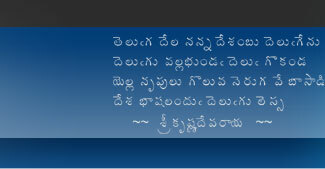 When the dream of a united Telugu State was about to be realized, leaders like K.V. 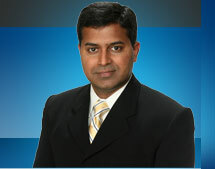 Ranga Reddy and M. Chenna Reddy threw a wrench into the plans. To appease the parochial interests of these politicians, an agreement has been reached called the Gentlemen’s Agreement. Unfortunately, this agreement and the agreements that followed it have perpetuated the regional feelings among the Telugu people. Today, the rumoured solution being prepared by the Congress Party involves creation of regional councils for each of the three regions. Unfortunately, just like the previous agreements, this proposal will ensure that the wound of regionalism will continue to fester. Commonsense dictates that efforts should be made to fuse the different Telugu regions that have been under different rules. Otherwise, what is the point of creating a united Telugu state? Instead, our brilliant leaders continue to come up with solution after solution that perpetuates regionalism. Gentlemen’s Agreement crafted along regional lines, resulted in the creation of a regional council that was to last for 5 years, which was extended to 10 years and then to 15 years. Similarly, the agreement offered job protections along regional lines. In 1969, opportunistic politicians took advantage and built a separatist movement around violations to Gentlemen’s Agreement, when hardly any violations actually took place. Let us fast forward to the 6-point formula devised by Smt. Indira Gandhi to quell the Jai Andhra movement. Though Smt. Gandhi was instrumental in saving the Andhra Pradesh state from division, her solution yet again was myopic. She divided the state into 6 zones and these zones were grouped along regional lines. Thanks to Mrs. Gandhi and the leaders that advised her, we had GO-610 controversy, the 14F controversy, teacher postings controversy and controversies around employees of one region/zone not being able to move despite special needs, and not to mention the current separatist agitation. Now the same Congress backed Government yet again is noodling over a solution to create regional councils. Apparently these councils will have a good bit of autonomy including budgets. Unfortunately, what is lost on our leaders and people is the implicit acknowledgment of the regional divide. When you create regional councils, it goes against the very fundamental objective of creating a united Telugu State. We are perpetuating the regional differences among people to satisfy the needs of politicians. Creation of three regional councils is in fact worse than Indira Gandhi’s 6-point formula. Central Government may duck behind the recommendation made by Justice Srikrishna Committee (SKC) to create regional council. SKC findings are excellent in the area of socio-economic analysis by regions. However, one must accept that Justice Srikrishna lacks basic understanding of our State’s culture and norms. His immaturity and insensitivity towards local issues is evident by the language used in his report by citing the names of castes and identifying businesses by regions. The secret chapter is the highlight of his unprofessionalism. If only Srikrishna was more focused on understanding the subject and not had religion about finishing the report in a year, he would have been judged favourably by history. SKC’s recommendation of a Telangana Regional Council is hackneyed, illogical and shallow. If the UPA government creates regional councils, it will yet again show that our leaders learn nothing from history. This will go down as another historic blunder. Today Coastal Andhra and Rayalaseema leaders have one voice. Now, this ingenious regional council arrangement will sow seeds of differences between these two regions too. It is just a matter of time before all three regional councils start accusing each other of favouritism by the State government. The current zonal system should be completely eliminated and replaced with a district based reservation system. Government employees should be able to work anywhere in the state, while the reservation is only meant for proportionate employment to the district. In other words, if a district has 5% of the State’s population, residents of the district are entitled to 5% of the government jobs but are free to choose their job location based on a forced ranking system. District level representation in state government offices such as the Secretariat and departmental directorates. A university for every district and funds to universities should be in proportion to the population (barring large established universities- whose funding should over the long run to be aligned with district universities; in other words, no special treatment for OU, AU, and others). Allow, at least one medical college for every district. · Extensive administrative autonomy to districts via zilla parishads or newly formed district councils. Devolution of powers to be made statutory with 40% of the current State budget going to zilla parishads (or district councils). Restrict state government’s ability to re-allocate river waters to other irrigation projects and industries. Any re-allocation of river waters including surplus/flood waters should have 2/3rd of legislators consent in the State Assembly. Identify mandal as a unit of prosperity. A special financial package must be given to backward mandals. The package must be based on weighted average of per capita income and population. Mandal Presidents must be given a free hand to spend the money on development initiatives. Limit government’s ability to acquire private land. Before government can acquire private property, it should be put through a tough judicial test of whether public interest outweighs private property rights by a large margin. Let us all hope that the Central Government will come up with a solution that is sensible and well thought-out which will bridge the regional divide. The recent by-election in Banswada was a slap in the face for TRS and its MLA Pocharam Srinivas Reddy. The election was necessitated by the resignation of the then TDP MLA Srinivas Reddy. The voting was going to be a mandate for TRS and its separatist agenda. Unfortunately, TDP yet again proved itself to be a gutless party by not contesting in the election. They feared losing their deposit. Alas, the results turned out to be something else. When the election results were declared, Congress Party candidate Srinivas Goud unexpectedly polled more than 30 thousand votes, while Pocharam polled over 80 thousand votes. Separatists won by a significant margin, but everyone including the TRS were surprised with the number of votes Congress got. There was hardly any campaigning done by the major political parties. They were all resigned to get beaten badly. Despite it, Congress polled over 30 thousand votes. If TDP contested in this constituency with all their strength, they likely would have cut further into TRS margin. Banswada traditionally has been a TDP bastion. In light of election results, a red-faced Pocharam Srinivas Reddy went to the press and spewed venom against those that did not vote for him. He made veiled threats against the so-called "settlers"- most of them are people who have been living in his constituency for over fifty years. He didn't even spare those who live in Kukatpally. He threatened them with "consequences". Our constitution requires that the voters' anonymity is protected. He proudly proclaimed that the electronic voting system allows him to identify areas that have not voted for him- hinting that they can be targeted. We wish to make this representation to you on behalf of Vishalandhra Mahasabha, a non-political organistion committed to the cause of integrity of Andhra Pradesh in the face of agitations in Telangana, Rayalaseema and Coastal districts for the vivisection of the State in the name of sub-regional sentiments. We have no political affiliations of any kind. 125. Promoting enmity between classes in connection with election.—Any person who in connection with an election under thisAct promotes or attempts to promote on grounds of religion, race, caste, community or language, feelings of enmity or hatred, between different classes of the citizens of India shall be punishable, with imprisonment for a term which may extend to three years, or with fine, or with both. Whoever by words, either spoken or written, or by signs or by visible representations or otherwise, promotes or attempts to promote, on grounds or religion, race, place of birth, residence, language, caste or community or any other ground whatsoever disharmony or feelings of enmity, hatred or ill-will between different religions, racial, language or regional groups or castes or communities and which disturbs or is likely to disturb the public tranquility, shall be punished with imprisonment which may extend to three years or with fine or with both. In view of the culpable conduct of the MLA, we request you to order an enquiry by a senior officer of the Commission and initiate appropriate action against the MLA. Visalandhra Mahasabha, on November 1st 2011, felicitated freedom fighters at the Telugu Thalli statue near Secretariat. Freedom fighters have put garlands at Telugu Thalli’s feet. They were later felicitated by the representatives of Visalandhra Mahasabha. Five freedom fighters have participated in the event. All of them are from the Nizam Telangana region. They have unequivocally and vociferously spoke against the division of our state. Andhra Pradesh Freedom Fighter’s Association President Sri Narra Madhav Rao was felicitated by former DGP Sri Anjaneya Reddy, Smt. Sugunamma by Dr. Parakala Prabhakar, Sri K.S. Mehabub by Sri Chegonti Ramajogaiah, Sri Alladi Naganna by Sri Sunkara Venkateswara Rao, and Sri P. Ramaswamy by Sri Kumar Chowdhary Yadav. Speaking at the event, Sri Narra Madhav Rao garu recollected his memories from his time fighting the Razakars. He said he and his fellow fighters have made enormous sacrifices during their lifetime. He said that he is saddened and outraged with the way politicians are ruining Telugu unity that has been won over after a long-fought battle. He ridiculed the separatist politicians as little kids who were not even born when they were fighting for Telugu unity. He said that the politicians know nothing about what Telugu people had endured prior to 1956. Smt. Sugunamma said she is a proud native of udhyamala gadda Nalgonda. She recollected her battles with Razakars and how she was a gun-toting fighter in those days. Though she had a bit of difficulty in walking, her energy kept her going. Her energy was a source of inspiration to people around her. She urged the media to take her message of Telugu unity to the people of our State. Sri K.S. Mehbub spoke eloquently about Visalandhralo Prajarajyam. He said politicians are running amok with our state. He said there are many daunting social issues that need to be tackled including corruption, caste discrimination, and income inequality, unfortunately our leaders have taken up the ill-conceived separatist movement. He expressed anguish at the way hatred being spread among people of different regions. Freedom fighters, despite their old age, gave loud slogans non-stop for nearly five minutes- “Varthillali Varthillai, Visalandhra Varthillali”, “Jai Samaikyandhra, Jai Jai Samaikyandhra”. It was an unforgettable moment. We are grateful to our venerable freedom fighters for their uncompromising belief in Telugu unity. They are our inspiration and Visalandhra Mahasabha will continue to fight to ensure that their sacrifices don’t go in vain.